If we are to confidently draw on the concept of Cultural Maturity, it is essential that we have solid evidence for its conclusions. If accurate, the concept could not be more important. It claims to provide a new guiding narrative, a story for the future that brings needed perspective—and wisdom—to making critical decisions. In addition, it proposes that effectively addressing essential challenges before us will require skills and capacities new to us as a species, skills and capacities that we can practice. If these conclusions hold true, the kind of perspective the concept provides has major significance. Solid evidence is also essential because what the concept of Cultural Maturity describes is appropriately seen as radical. It stretches usual understanding in fundamental ways. The concept starts off by challenging an assumption that most people—even very intelligent and respective people—share. We tend to assume that Modern Age institutions and ways of thinking, while they may not be perfect, represent ideals and end-points. The concept of Cultural Maturity argues that this conclusion is not justified. It describes how further evolutionary steps in the human story are not just predicted, but happening. The concept also deeply confronts more specific beliefs. It observes that traditional ways of thinking are most always ideological, this in the sense of taking a limited aspect of some larger systemic complexity and making it last-word truth. This is the case whether the particular assumption is political, religious, scientific, psychological, or artistic. Culturally mature perspective challenges us to think in ways that are more encompassing and complete than before now has been possible. In fact, much of the evidence for Cultural Maturity’s proposed next chapter in our human narrative is hard to refute. And with familiarity, what the concept describes comes to seem neither esoteric nor complex, but instead rather ordinary—like common sense. But given all that the concept asks of us, the evidence for its accuracy must be very good. What makes culturally mature perspective seem radical is that it represents a sophistication of common sense that we have not before now been capable of (see Common Sense 2.0). At one level, the concept of Cultural Maturity doesn’t require much evidence or explanation. The need for the species to “grow up” in some basic way has become impossible to ignore. We human beings do a lot of childish things, many of them simply not consistent with our ultimate survival, much less with a sane and vibrant future. The planet as a whole will do well in the long term whether or not we humans make wise choices. And the species will also most likely endure without Cultural Maturity’s changes, or at least through the necessary trials if the needed changes are a long time in coming. But if we don’t bring greater maturity to a great many issues—and quite quickly—the centuries immediately ahead for us will not be good. In my books, I document an important indirect kind of evidence, how we have witnessed changes consistent with what the concept of Cultural predicts over the last hundred years. The first half of the last century saw innovations in science, art, and philosophy that heralded fundamentally new ways of understanding. Later social movements—the civil rights movement, the women’s movement, the environmental movement, and more recent efforts to address the complexities of gender and sexuality—make deep sense only with underlying changes like the concept of Cultural Maturity describes. Our task here is to examine more specific and conceptual kinds of evidence. Such evidence takes multiple forms. Some concerns the concept’s “developmental” underpinnings (implied by the use of the word “maturity”). Other evidence relates to the new human skills and capacities that the concept predicts the future will require of us. Further evidence turns to the cognitive reorganization that produces cultural maturity’s changes and how it fundamentally alters what it means to understand. There is also evidence that has to do with cultural narrative, both how the concept of Cultural Maturity presents a new kind of cultural narrative and how culturally mature perspective lets us separate the wheat from the chaff in competing stories about the future. Finally, there is a kind of evidence that draws on each of the other four that is very hard to challenge—what Creative Systems Theory calls the Dilemma of Trajectory. It makes Cultural Maturity, in effect, the only game in town. In getting started, it is important to recognize that limits exist to what any of these kinds of evidence can provide. Proof is not possible with any effort to predict the future. And there is another limitation that we cannot escape. Each kind of evidence confronts a “Catch 22” dilemma: It requires culturally mature perspective to make deep sense. I address this dilemma in my book Cultural Maturity: A Guidebook for the Future. The book is structured around the new skills and capacities that Cultural Maturity’s changes make possible. At the book’s beginning, I describe how each of these new skills and capacities requires Cultural Maturity’s changes if it is to be understand deeply. This kind of dilemma follows predictably from the developmental nature of Cultural Maturity’s changes—imagine trying to describe the experience of being an adolescent while still a child. One result of the fact that this dilemma is predicted may at first seem contradictory. It means that the dilemma, while very real, in its own way also serves as a kind of evidence. That we encounter it is at least consistent with the kind of change the concept of Cultural Maturity proposes. And that it takes the particular forms it does provides further support. But the fact that it is predicted and consistent with Cultural Maturity’s thesis makes it no less an obstacle. Some might call it a deal-breaker. I present the evidence humble to this predicament. The first more concrete kind of evidence turns to the insights that first inspired Creative Systems Theory and generated the concept of Cultural Maturity. Creative Systems Theory had its origins in the recognition that we see parallels in how human formative processes of all kinds evolve—from a simple creative acts, to the growth of relationships, to individual human development, to the evolution of culture (see Lessons From How Creative Systems Theory and the Concept of Cultural Maturity Came to Be). 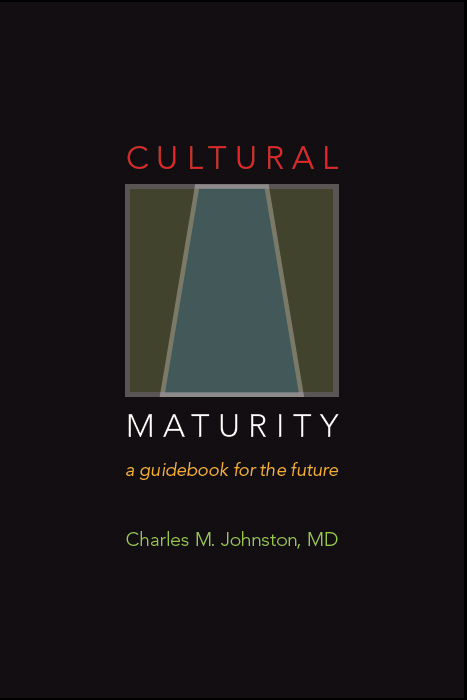 The concept of Cultural Maturity grew out of a particularly important implication of this extended developmental picture, how it provides important insight into our time and what it asks of us. While my earlier general reference to how our times challenge us to be more “grown up” as a species in a limited way works as evidence, it is evidence only by analogy, and this for but a thin slice in time. This first additional kind of evidence remains evidence by analogy. But the recognition of extended developmental parallels makes for more solid argument. It shifts the status of Cultural Maturity’s proposed collective “growing up” from a useful metaphor to a time-specific observation within a detailed and rigorously substantiated developmental interpretation (see Patterning in Time). The inherent “Catch 22” dilemma most directly impacts this first kind of evidence with the fact that fully grasping developmental pattern of the kind Creative Systems Theory describes requires culturally mature perspective. We confront, for example, how various creative stages draw most deeply on different kinds of intelligence. Later I will reflect on how the idea that intelligence is multiple, and certainly the idea that our various intelligences might work together in different ways at different times and places, makes deep sense only with Cultural Maturity’s cognitive changes (see Cultural Maturity’s Cognitive Reordering and The Critical Role of Multiple Intelligences). With each of these questions, I describe how we can understand what the future asks of us in terms of a related handful of new abilities. For example, with each we must learn to address its implications systemically, in ways what better include all the pieces. We need, too, to better tolerate uncertainty, change, and complexity. We also need to better recognize the fact of real limits. In addition, we must better understand diversity of perspective, more deeply appreciate how what is true at one time and place may be very different from what is true at another, and just why this might be the case. These recognitions provide particularly solid evidence. The observation that we find parallels in what very different sorts of questions ask of us supports the conclusion that what our times ask of us can be summarized with a single notion. And clear parallels between those tasks and the tasks of maturity in other human formative processes support the use of developmental language when describing today’s needed changes. We appropriately speak of culturally mature skills and capacities. In introducing the “Catch 22” dilemma, I used needed new skills and capacities as illustration. We face that understanding any of them deeply requires Cultural Maturity’s cognitive changes. But, again, while this fact presents obstacles, it is predicted given the kind of change the concept of Cultural Maturity describes. The observations that provided our first two kinds of evidence each also, in limited ways, support understanding why we see what we do with Cultural Maturity’s changes. But the observation that gives us our third kind of evidence does so most directly. Cultural Maturity is about something more basic than just differences in belief or behavior. It is the product of specific cognitive changes. With Cultural Maturity’s cognitive reordering, we become able to at once more fully step back from, and more deeply engage, the whole of our cognitive complexity. Creative Systems Theory calls the result of these changes Integrative Meta-perspective (see Cultural Maturity’s Cognitive Reordering). Two ways we can think of the cognitive complexity that Integrative Meta-perspective helps us more consciously engage provide particular insight into Cultural Maturity’s changes. We can think of it in terms of all the diverse aspects of human intelligence (see The Critical Role of Multiple Intelligences). We can also think of it in terms of ways we have before divided life’s complexities into juxtaposed polar worlds—separate internal realities such as mind versus body, masculine versus feminine, or subjective versus objective, and also opposed external worlds such as ally versus enemy, or science versus religion. Integrative Meta-perspective gives us the ability to engage experience in more encompassing and complete ways. We become capable thinking with a kind of systemic sophistication that has not before been possible (see A Different Kind of Idea). Integrative Meta-perspective becomes not just explanation, but also evidence, in the way it connects with the first two kinds of evidence. With regard to the first, we can observe that Integrative Meta-perspective is developmentally predicted. More limited versions of this same kind of cognitive reordering can be seen with maturity in our individual lives, and also with the mature stages of any formative process. We can also observe how the realities of earlier stages in culture—such as the objectivist/materialist beliefs of Modern Age culture—can similarly be understood in terms of particular kinds of cognitive organization. With regard to the second kind of evidence, I’ve describes how culturally mature perspective is required if we are to deeply understand any of the needed new skills and capacities. In fact, each of them follows directly from Cultural Maturity’s cognitive changes. Seen from Cultural Maturity’s systemic vantage, needed new skills and capacities come to seem not just obviously necessary, but straightforward. This third kind of evidence refines our understanding of the “Catch 22” dilemma. Put simply, we need Integrative Meta-perspective for each of the previous kinds of evidence to make full sense. This recognition doesn’t let us escape the dilemma. We necessarily confront that Integrative Meta-perspective is also needed to make full sense of Integrative Meta-perspective. Understanding the concept requires that we at least appreciate how intelligence has multiple aspects, and some of the importance and implications of learning to think more systemically. But recognizing that we are dealing with cognitive changes makes the dilemma itself more understandable. That culturally mature perspective helps us appreciate how the stories we humans tell have evolved and continue to do so is implied in each of the other kinds of evidence. But this way of framing its contribution can also be thought of as providing a further kind of confirmation. Right off, there is how the concept of Cultural Maturity provides a compelling story for our time. Given the way familiar narratives such as the American Dream and our various political and religious ideologies are ceasing to serve us, this, in itself, constitutes a particularly significant kind of support for the concept’s conclusions. The way culturally mature perspective lets us tease apart alternative narratives helps solidify this contribution. Culturally mature perspective helps us appreciate how Modern Age belief manifests as juxtaposed heroic and romantic narratives. It also helps us recognize how postmodern narratives have had growing influence in recent decades, and also how they necessarily stop short of what is needed today (see The Evolution of Narrative and What Cultural Maturity is Not #2: Postmodern Pseudo-significance). 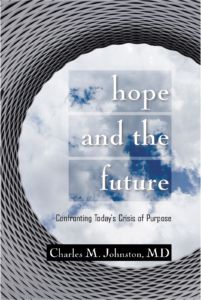 In addition, culturally mature perspective provides an overarching vantage for understanding competing views of the future and, more generally, for separating the wheat from the chaff in our thought processes as we attempt to grapple with new challenges (see Scenarios for the Future). That the concept can help us tease apart competing interpretations doesn’t by itself constitute proof. But it does support the encompassing significance of culturally mature understanding and further adds to the concept of Cultural Maturity’s persuasiveness. One specific developmental observation provides evidence that is particularly hard to dispute. The changes that come with the point in formative process our times reflect involve more than just letting go of one stage and moving to another; they bring into question the whole developmental orientation that has defined growth and truth. The fact that they do presents a critical quandary that might seem a show-stopper. Creative Systems Theory calls it the Dilemma of Trajectory (see The Dilemma of Trajectory). A simple way to recognize this quandary is the way each stage in culture to this point has been defined by greater distinction between polar opposites and a greater emphasis on difference more generally. (In tribal times, connectedness to nature and tribe is primary.) Another way to describe this evolution is that it has taken us from times that are most defined by archetypally-feminine influences to times in which the archetypally masculine becomes the defining presence. With the transitional dynamics that mark our time, this organizing trajectory reaches an extreme. Truth comes to be defined almost exclusively by difference (for example, objective and subjective become wholly separate worlds), and extreme archetypally-masculine values prevail (such as those of science and the marketplace). The Dilemma of Trajectory alerts us to how going further in this direction would not benefit us. Indeed there is an important sense in which going forward as we have really stops being an option. Attempting to do so would irretrievably alienate us from aspects of who we are that are essential to being human. We could go back—a proposal at least implied in certain kinds of social advocacy. But going back is not any more likely to get us where we need to go. The Dilemma of Trajectory confronts us with the fact that unless there is third option, the human story may be at a conclusion. The critical recognition for these reflections is that the concept of Cultural Maturity reconciles the Dilemma of Trajectory. Cultural Maturity’s cognitive reordering provides a third option. Not only does it offer a possible way forward, the way forward it describes reflects an essential kind of human realization and fulfillment. If this developmental interpretation is accurate, Cultural Maturity becomes the only viable choice. There are other kinds of evidence. For example, there is how culturally mature perspective lets us answer questions that always before have left us baffled. In my book Quick and Dirty Answer to the Biggest of Questions, I propose that the reason many “eternal quandaries” have seemed beyond us is that culturally mature perspective is needed to ask them in ultimately useful ways. I go on to offer straightforward—even simple—answers to a handful of such questions. Some examples: How do we reconcile the experience of free will with what logically seem a deterministic world? Are the beliefs of science and religion just different, or do they represent parts of a larger picture? And, how do we best understand the human species’ place in the larger scheme of things? There is another kind of evidence that could seem at first to prove the concept wrong. A lot we see in today’s world might appear to be almost the opposite of what the concept of Cultural Maturity predicts—for example, increasingly political polarization and widespread denial with regard to essential limits-related challenges such as climate change. Given so much in contemporary human behavior that is at least stupid, if not ludicrous, it can be hard to believe that getting wiser as a species is a possibility. It may not be. But, in fact, what we are seeing is consistent with what the concept of Cultural Maturity predicts. The concept describes how our times should be characterized, simultaneously, by essential advances and distorted ways of thinking that come from “overshooting the mark.” When we attempt to apply assumptions that have long since stopped being pertinent, predictably unhelpful—even ludicrous—responses are the result. Creative Systems Theory calls this particular kind of ludicrousness Transitional Absurdity (see Transitional Absurdity: How the Ludicrous Can Co-Exist With Hope). Like it or not, we live in awkward, in-between times. The fact of Transitional Absurdity makes an odd kind of evidence. But if the notion does not accurately explain much in current circumstances, it is hard to be optimistic. Indeed, if modern ludicrousness is a harbinger of what lies ahead, it is pretty clear we are doomed. The concept of Cultural Maturity doesn’t in any way promise smooth sailing through the transitions ahead (or at any time in the future). It also doesn’t tell us how long this predictably turbulent time will last. But it does provide a way of thinking about the future that is legitimately hopeful. For me, the most compelling evidence for Cultural Maturity’s thesis is just that. I don’t see another way of framing the human task that works, that is consistent with a future that is ultimately healthy or, if extended far into the future, likely survivable. If I have not missed something important, Cultural Maturity becomes the only real option.